When you have decided to create a website for promoting your notable small or medium sized business, the first thing you have to do is to choose the suitable CMS platform. There are enough great platforms, which boast great custom options and are free to use. 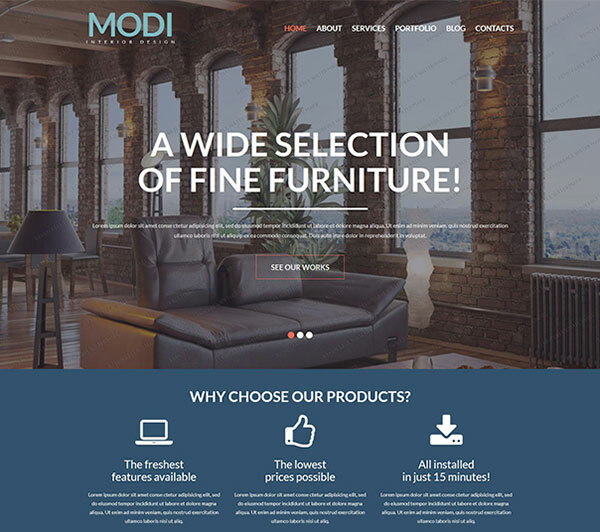 Each of them offers a great amount of free and premium website themes for the creation of a professional-looking and modern business website. 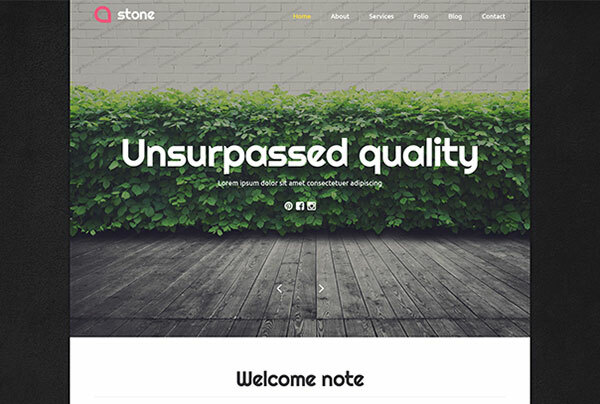 Today we have gathered a great collection of 20 Free Responsive Website templates and suggest you look them carefully through. All they are promoted by a well-known web developing company TemplateMonster. All they are fully editable and help much easier to get started for beginners and non-experienced users, as well. Establishing your presence online doesn’t mean to spend much money on a website template. You can find thousands of high-quality free website themes and get a full control over its customization. At the end, you get a fully functional and dynamic business website for less money. Additionally, they may include such advanced features like a responsive design, SEO-friendly option, background video and cross-browser compatibility. The website templates included in this batch are built on different CMS platforms. 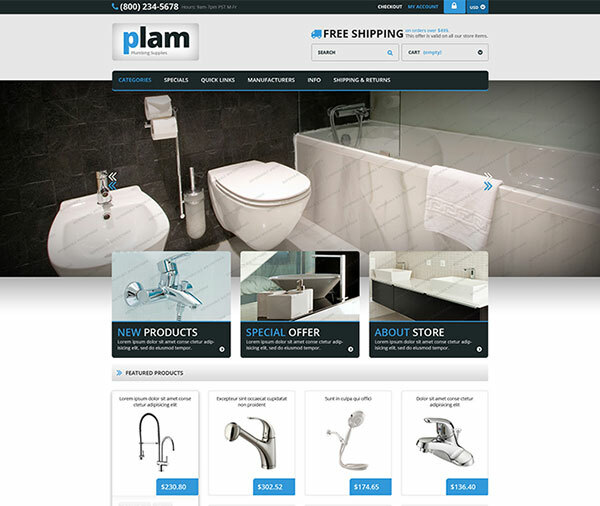 Namely: WordPress, Joomla, PrestaShop, Magento, WooCommerce, etc. It means, that it doesn’t really matter what type of business website you are planning to build up. 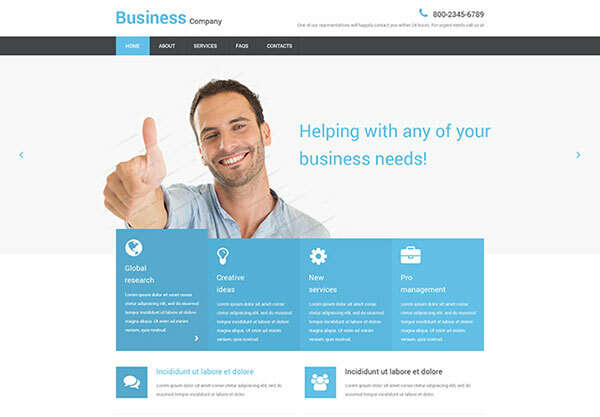 The themes introduced in this compilation fit to meet requirements of all types of business websites. Great news: all they are responsive and cross-browser compatible to adapt to all screen resolutions and work perfectly on all browsers. So your prospective clients can access and read your excellent content from any digital device they used to use when browsing your website. Mostly beginners doubt about coding skills when getting a website template. We are glad to let you know, that TemplateMonster provides its clients with all needed tutorials , video training, free-eBooks and to learn an informative video about the often asked questions. But before starting designing your website think about your target audience and what will they want to find on your website. Organize the structure of the website correctly to enhance the user experience and make it easy-to-navigate. Pay attention to the downloading time and of course add your excellent content. Be sure, these amazing and professionally looking website templates listed below will help you to build up your successful presence online and promote it easily. 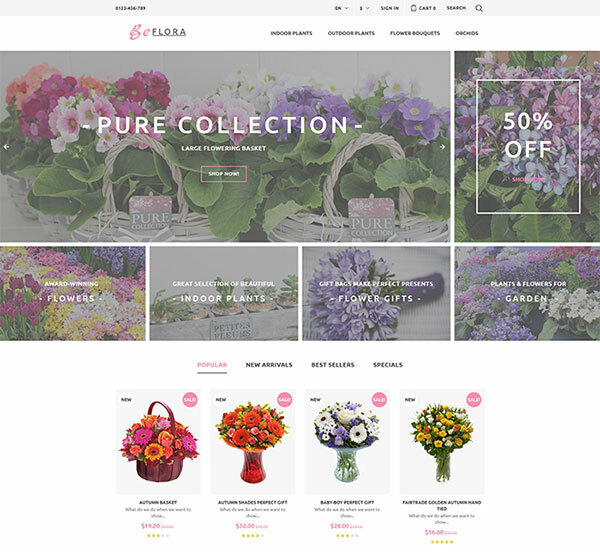 Get this free responsive PrestaShop template to create a nice and fully functional flower store or any other project related to flowers compositions. The theme features so many advanced editing tools, such as Mega Layout Module to modify the homepage’s layout quickly, Ajax search, WPML ready option, DropDown menu, theme color switcher, etc. Gallery slider will help you to represent your products in the best maner. This theme is a perfect choice to set up your personal blog. It is 100% GPL licensed and provides your project with a sleek and fresh look. The theme is easy to navigate, so the users will find the needed information quicker. Social options, cross-browser compatibility and a comenting syste are another great advantages if getting it. Try out this template if you are looking for a great free solution to fulfill yourr business presence online. It is designed according to all modern web design technologies, boasts responsive and clean design, features language nad currency switchers, Ajax search and multi-column menu. Introduce your notable business project to the web market beneficially. 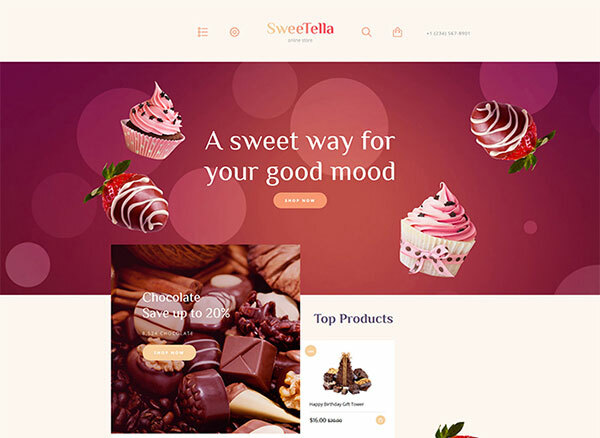 Choose this OpenCart theme, which is one of the best solutions to fit sweets and cake store online. Its responsive design adapts perfectly to all screen sizes, multilingual and multicurrency support help you to enlarge the sales territory, Parallax effect allow to impress your visitors in the best possible way. Another perfect solution to build up an online store for all business niches. It is designed in the grid-based layout, coded with the vakid html/?aff=designbolts&utm_source=10.25.2016_guestpost&utm_medium=free20&utm_campaign=blog_site_designbolts and CSS norms and powered by Bootstrap functionalities. Clean and smart combination of blue and white colors help to gain the visitors’ attention and stay with you longer. 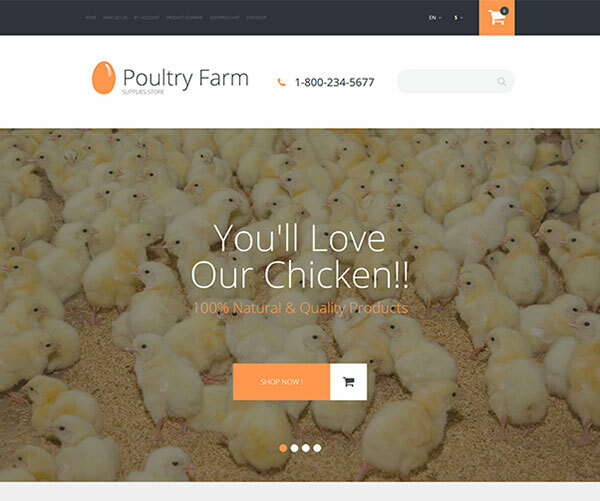 For those who are looking for a great solution to represent its agriculture or farming business, we recommend to get this interesting OpenCart theme. 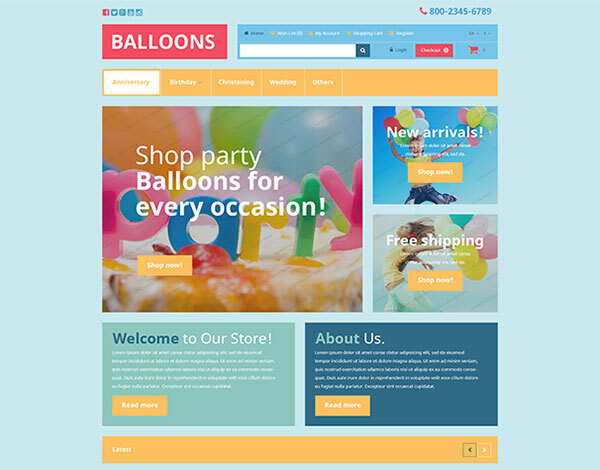 It features great editing tools to create a fully functional and modern online store. Responsive design works flawlessly on mobile devices, well documented code allow you to make changes quicker, several great OpenCart modules offer you to create a user-friendly website with ease. 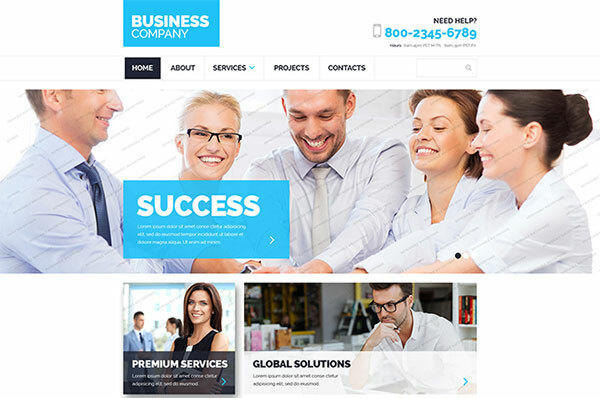 This business website template is equipped with all necessary editing tools and options to help you create an amazing business website. It features a full-width slider, Parallax effect, dropdown menu, back-to-top button, etc. A smart use of white space and red color accents help to impress the audience and gain popularity. If you need to create a trustworthy service website, then you will appreciate this ZenCart solution. It offers you smart customizing options to impress your audience and succeed on the web market. IT supports multilanguage and multicurrency options to help you enlarge your sales territory. This theme will help you to establish your online presence successfully. It features a mobile-friendly and user-centric design, drop down menu, social media blocks, and a great slider option. Responsive and cross-browser compatible lyout will help to create an accessible, readable and visible business store online. Try out this nice template to implement all your business strategies online. Simply download, install and add your exceptional content to learn more about your company and its services. Edit and manage the template thanks to its advanced features, valid semantic code, cross-browser compatibility and SEO-friendly feature. 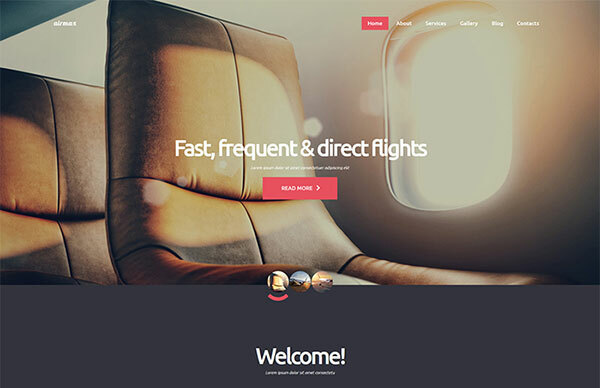 Another great and contemporary website template to create a fully functional presence online. It fits to all types of business niches related to flight, travel and booking service companies. It adapts flawlessly to all popular digital devices and browsers to make your website readable and accessible online. Great customizing tools will assist you when creating a user-friendly and attractive design. The theme is designed to help you impress your target audience provide the best user experience. Powered by Cherry Framework 4, Bootstarp functionalities, SEO-friendly option, cross-browser compatibility and other advanced features, the theme offers robust customizing tools to enhance your presence online. 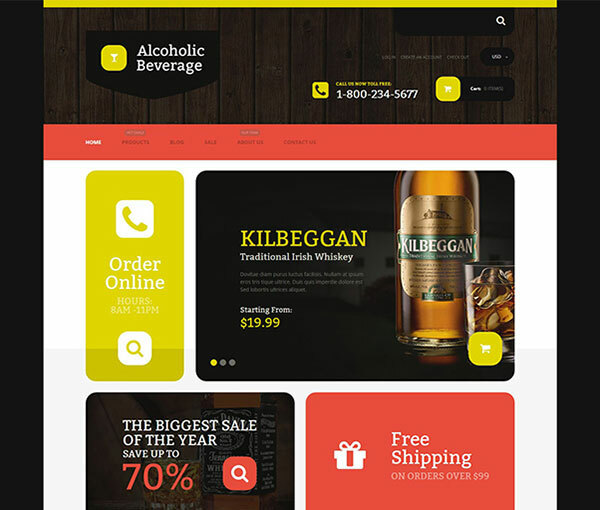 Try out this modern and contemporary solution to build up a successful online store for beverages. Great design, mobile-friendly layout, a set of advanced features, easy navigation and slider option will help you to provide your audience with a good user experience. Grid system, multicurrency option, SEO-friendly option allow you to make your website visible on the web market. 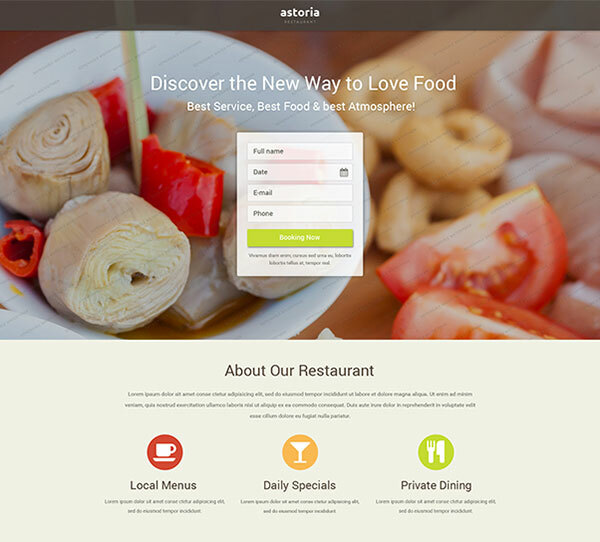 If you are looking for a template to fit your particular business needs, then grab this smart solution to build up a food-related website. 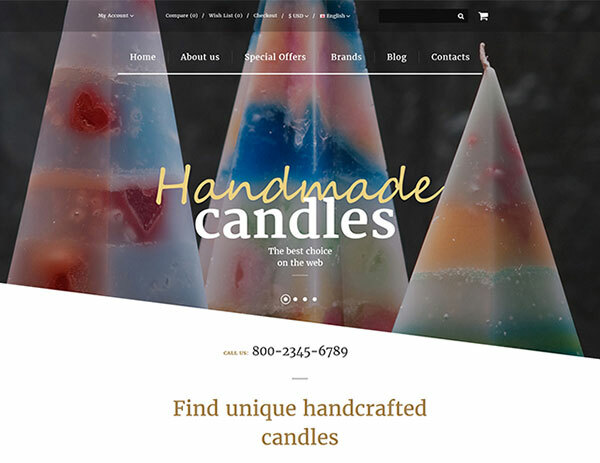 Represent your exceptional business project with the help of a full-width header, Parallax background effect, sliced PSD, Google web fonts, etc. 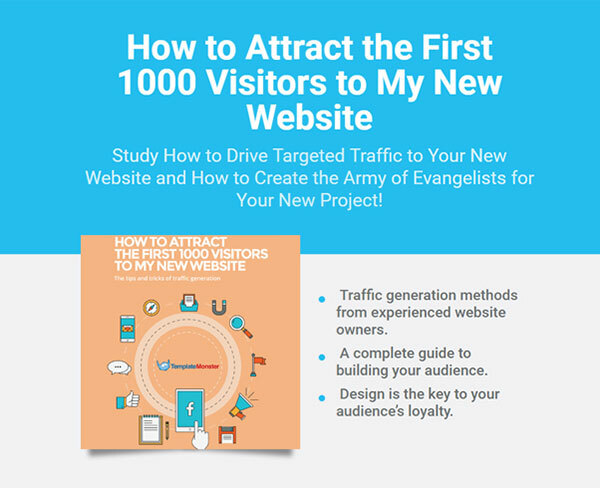 Create an engaging landing page website and gain popularity on the web. Here you have another great solution to set up an entertaining website quickly. 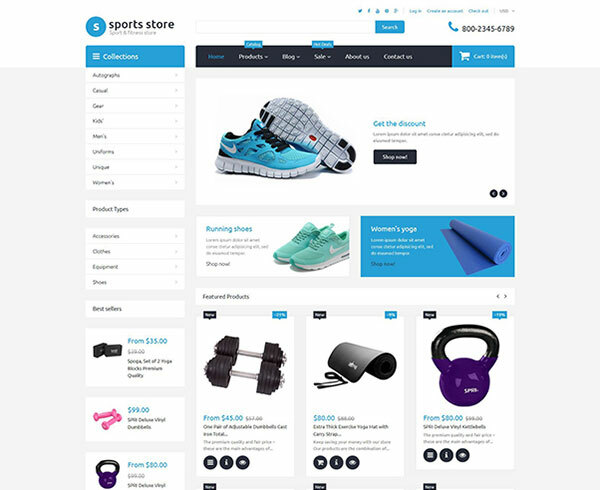 You have a business idea and want to establish it online, please get this OpenCart template and attract your potential customers. IT is pre-packed with a great amount of advanced features and customizing options to meet all the requirements of your notable business project. Your business website should be promoted beneficially, thus you need to get a perfect solution, which suits your requirements and tastes. This template will help you to represent your products and services in the best possible manner. A number of smart features and add-ons assist you when customizing this nice solution. 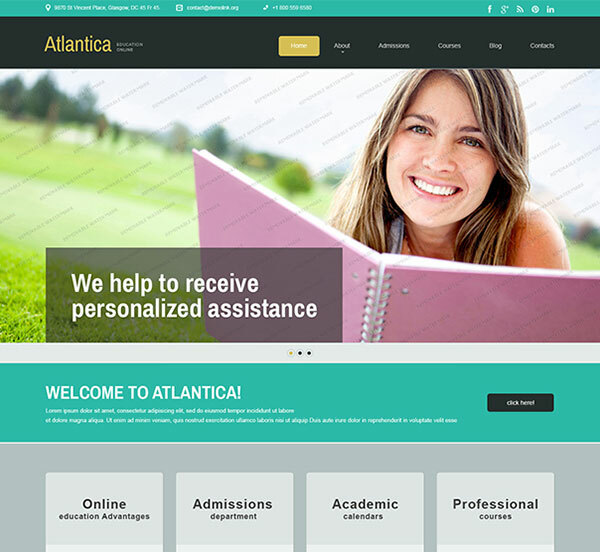 This Joomla template suits to build up a website for a society and educational project. Some animation effects and customizing tools will help you to design your website in the best possible manner to attract your audience. Responsive layout will adapt flawlessly to all screen resolutions and mobile-devices. Be visible and popular on the web. This template will help you to simplify your life when creating your own business presence online. You are free to use all customizing tools pre-packed in the template to establish great design and provide user experience. Macke changes in almost all design elements of the theme and get an excellent result. Powered by Cherry Framework, the template contains multiple opportunities to make your business project recognizable. Any children store need to look amazing and amuzing to meet the needs of the children and their parents. 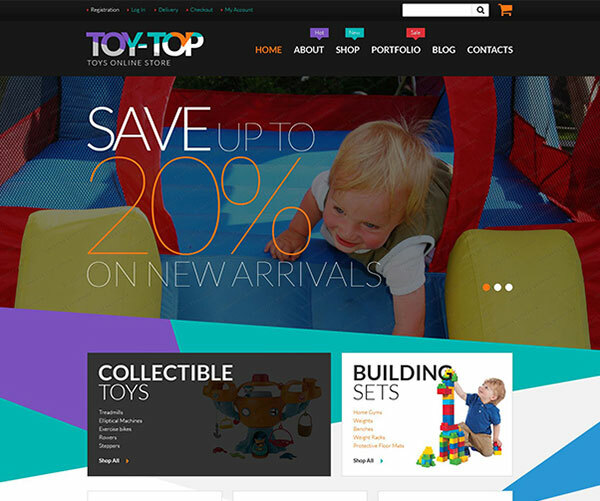 This template is reach on all possible commerce features and options to create a mega popular online store for children. Design it mobile-friendly, easy-to-navigate and interactive to impress your needy audience. Gain popularity and promote your business project beneficially using this interesting and modern solution for building up websites. 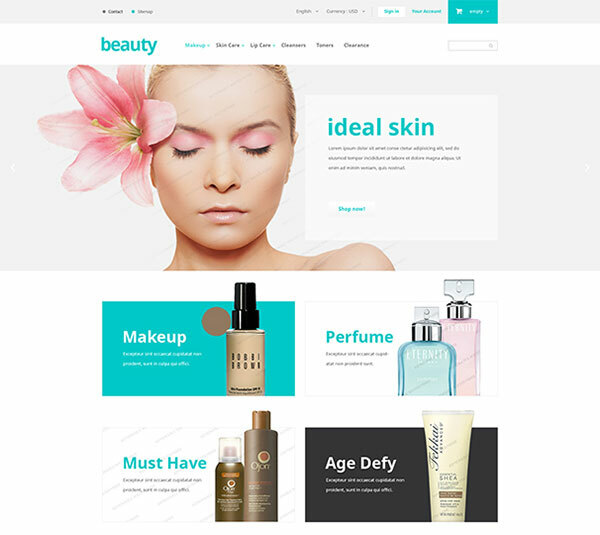 It features clean and minimal layout, hover effect, animated pictures, full-width sliders to showcase your exceptional products in the best possible manner. REsponsive and cross-browser feature will help you to make your online store visible, accessible and readable across all digital devices and browsers.